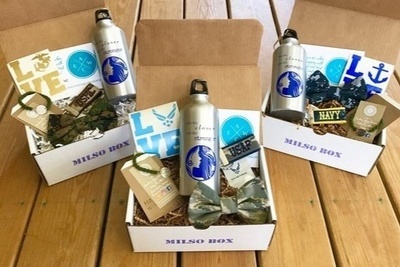 Enter your email address below to receive a notification when MilSO Box starts accepting new sign-ups! 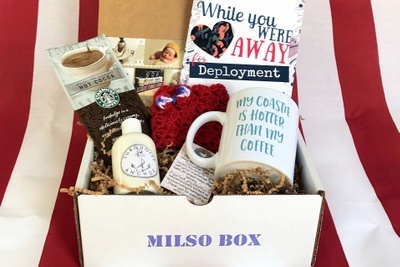 Enter your email address below to receive a notification when MilSO Box is accepting new sign-ups again. 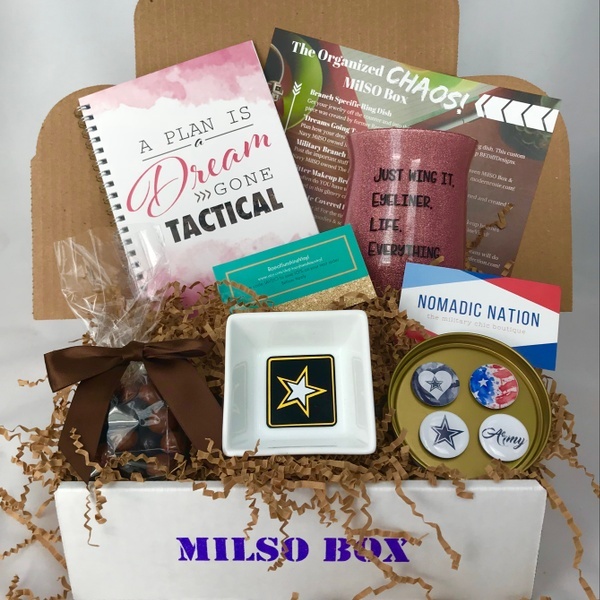 The perfect gift for military SO's! 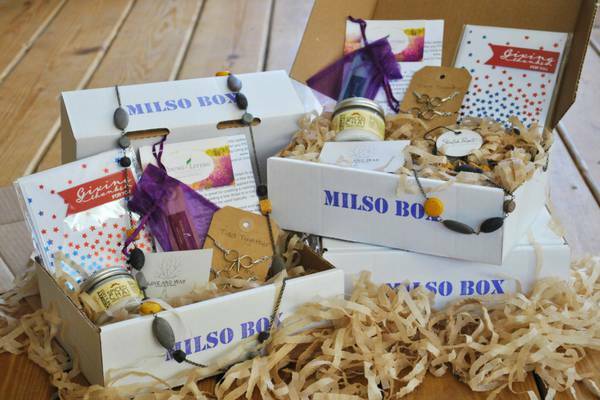 MilSO Box sources gifts meant to excite, comfort, assist, and beautify our warriors at home. The contents of the boxes will always be a surprise, but you can count on a high quality mix of the practical and patriotic. 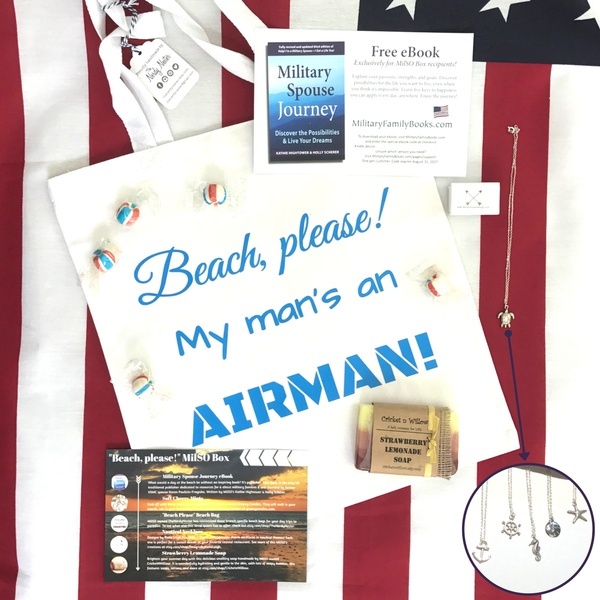 Products include: Military inspired products, bath and beauty products, home decor, and more! 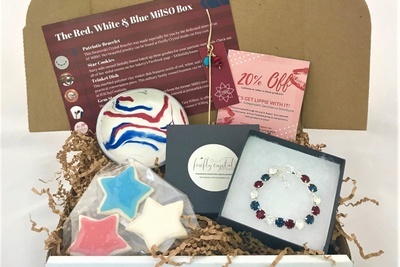 We proudly feature products made and customized by Veteran owned, military spouse owned, and/or "Made in America" businesses! 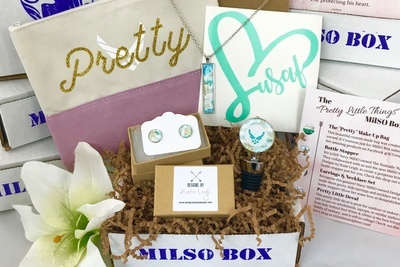 My daughter received her first box and loved it! 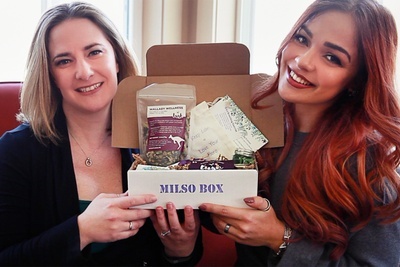 Grateful for this subscription service! 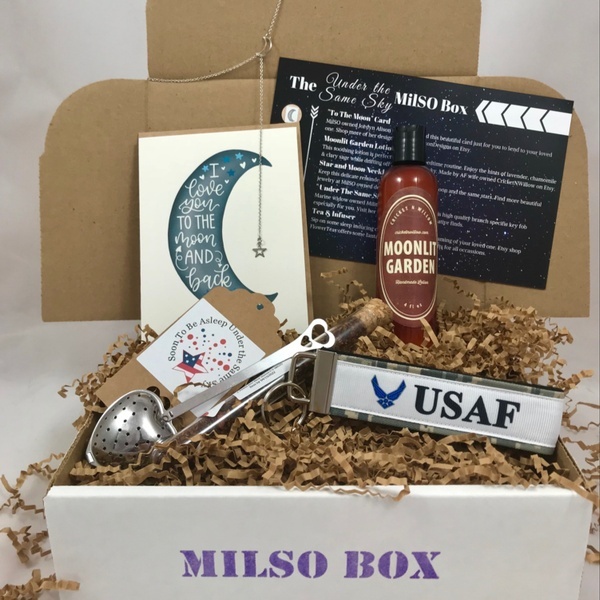 This MilSO Box features a star and moon necklace by MilSO owned Designs by Katie Leigh, some sleepy time tea and infuser by FlowerTeas,..